Community Link is a drop-in session on Thursday, 1.30-4.30pm at Marshalswick Baptist Free Church. We are open on most Thursdays. Entrance through the front doors with ramp access via our side door (please ring bell if it is closed and someone will be pleased to assist). 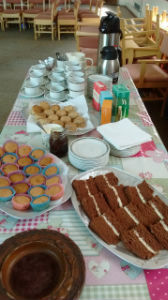 We started out as a small group of people offering help and free advice on how to use technology over a cup of tea and cake. 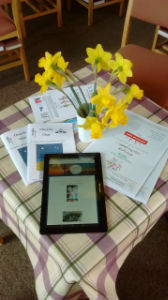 You can come and tap into what the Internet offers on our computers or bring along your own mobile phone, digital camera, iPad or laptop to learn new ways to use it or to get your problems solved. Supported by Computer Friendly and volunteers we are happy to help whatever your problem. 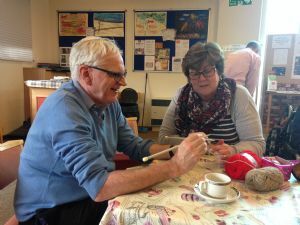 We had such a good time that our project grew and now we have a knitting group and art group who meet each week to chat and be creative together. 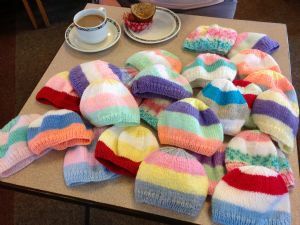 Our knitters work on their own projects or knit items to be sent to a maternity hospital in a remote area of Zimbabwe. 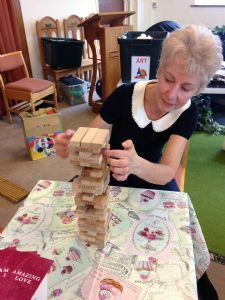 We launched 'Active Brains' in 2017 where you can drop in and do jigsaws or choose one of our selection of board games to play with friends. Or just pop in for a chat and a slice of cake and a cup of tea. We'd love to meet you!